Spring Training Academies begin in March. Each participant receives training designed to help reach his/her goal. Goals may range from being a weekly recreational player to becoming a competitive tournament player. Regardless of the individual goals, the purpose of our training is to assist the athletes to become successful, as defined by them and their families where the athlete is a child. Our greatest concentration of training occurs during the March to May timeframe. 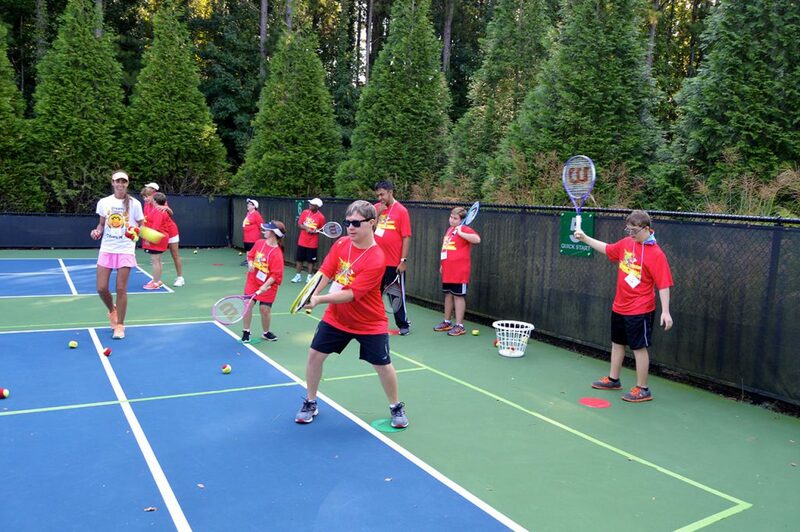 This training includes preparing the athletes who intend to participate in the tennis competition at the Special Olympics Georgia Summer Games. 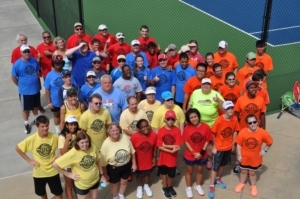 Competing in the Special Olympics Georgia Summer Games is not a prerequisite for participating in spring training. However, if an athlete plans to play tennis at the Summer Games they are required to attend the spring tennis academy. Our Spring Tennis Academies are available to everyone who meets the eligibility requirements. Check the Calendar and get started today! 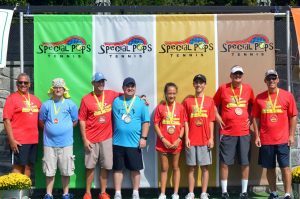 Special Pops leadership is dedicated to creating the same opportunities for our athletes that are afforded other persons who play tennis. 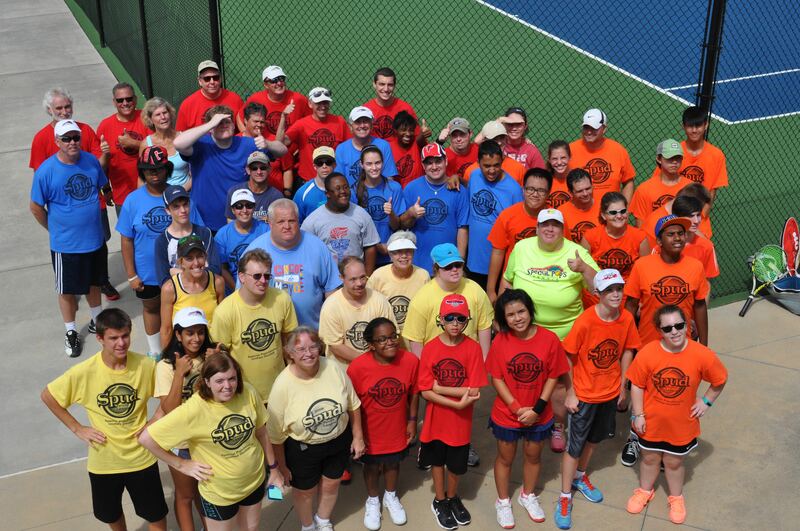 The Special Populations Unified Doubles (SPUD) Tennis League was formed in 2008 utilizing an adaptive playing format. Athletes are placed on teams and compete as team members against similarly-skilled athletes on other teams. Athletes are paired with traditional tennis players (unified partners) in matches against opposing teams. Play usually begins in September and is completed in October. SPUD League players receive a team shirt and league participation medal, enjoy an end-of-season playoff and social interaction with teammates and members of other teams. Fees may be required for tournament play to cover costs such as entry fees, transportation, meals and lodging. 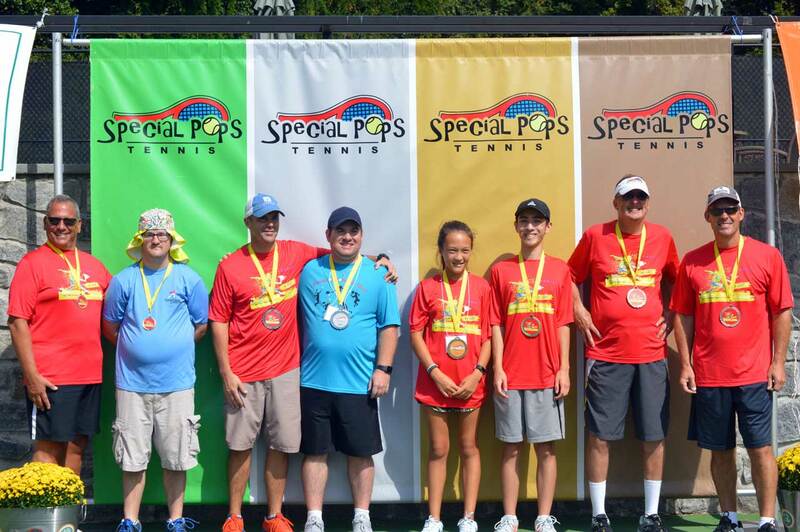 Join us in our mission to enrich the lives of children and adults with intellectual disabilities through the lifetime sport of tennis.